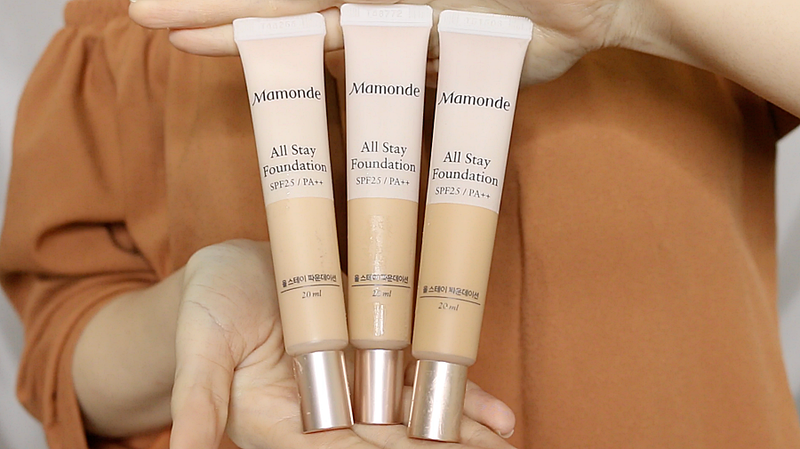 According to Mamonde, this new All Stay Foundation provides a light, semi-matte coverage that is perfect for a natural makeup look and stays in place without creasing or fading unevenly. It also claims to be long lasting and contain a Mamonde exclusive Freeze and Fix powder "formula" where it actively absorbs sebum throughout the day, keeping the skin matte. Check out my video first impression below on the Mamonde All Stay Foundation for more visual! This foundation reminds me a lot of the Dior Backstage foundation but slightly thicker in consistency. It spreads and blends easily but it is a little dry for my dry skin. The funny thing is that it feels matte on my skin but it has a light glow to it. I believe the glow is due to the sunscreen, SPF 25. It doesn't oxides after being in contact with my skin but I do feel that due to the matte finish, the foundation was exaggerating my skin texture a little bit. With one layer, it has a natural look, light to medium coverage with some parts of my red areas and dark under eyes peaking. I tried second layer, it builds well and made it feels much more full coverage. Not so much my style but I know some people do love the full coverage look. Scent wise, it's a little weird. 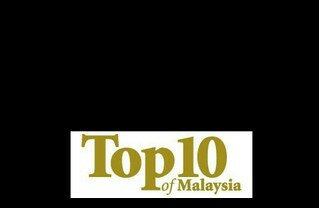 It claims to have a fresh rose scent and some other flora note but I felt the scent doesn't really smell like flowers. Like it wants to be a beautiful floral scent but it didn't really make it. As much as I like the slim packaging, it's only 20ml. For the price, I think we can find an alternative at the drugstore with more quantity, or maybe even cheaper when their are on sale or promotion. It definitely lasted on my face well without much fading after a long day. What's impressive is that my skin still felt pretty matte even after 10hours wear, I guess the whole Freeze and Fix formula actually works. I'm sure normal to oily skin type people will like this feeling and foundation but because of my dry skin, I don't think I'll reach out for this foundation as much, It's just not made for my skin type. I don't know how much is this but this sponge is pretty neat. 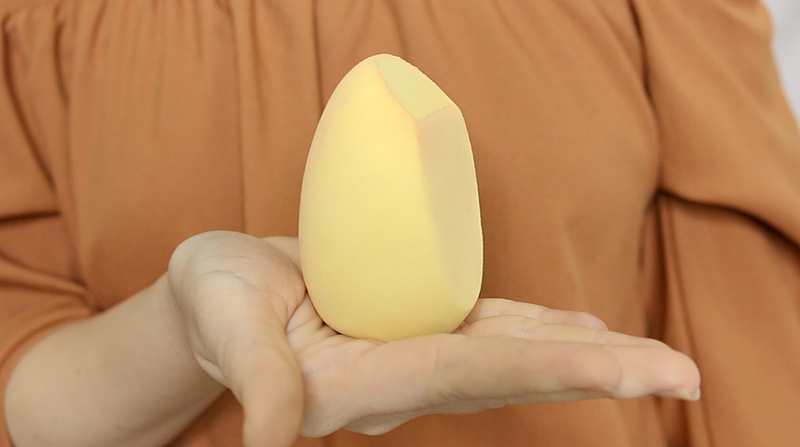 It's a little stiffer than the original beauty blender but it puffs up really huge after running it under the water. I love that it puffs up so big, it gives more surface area for me to play with. Plus, I love the flat side of the sponge, always. My only issue is the "plastic" corner of this sponge. 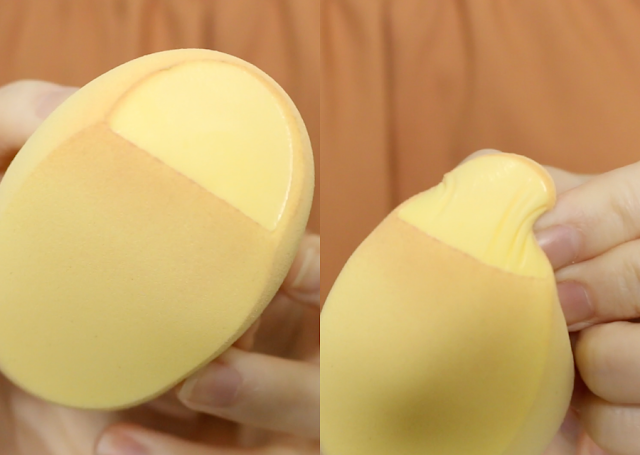 I think they are trying to mix a silisponge and a beauty blender together but I personally don't enjoy silisponge, so I'm already bias from the start. 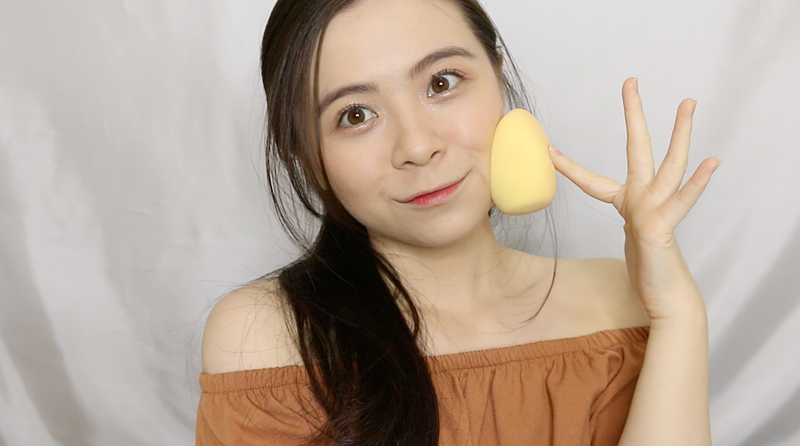 After trying it out on my face, I personally don't see the difference between the side I blend with the "plastic" corner and the side I blend with the sponge. It's the feeling of that "plastic" stamping on my face, I really don'y like. Overall, I thoroughly enjoy using this sponge. The foundation, not so much. It's a good foundation for those who wants something that will stay matte throughout the day but it's just not for my dry skin type. 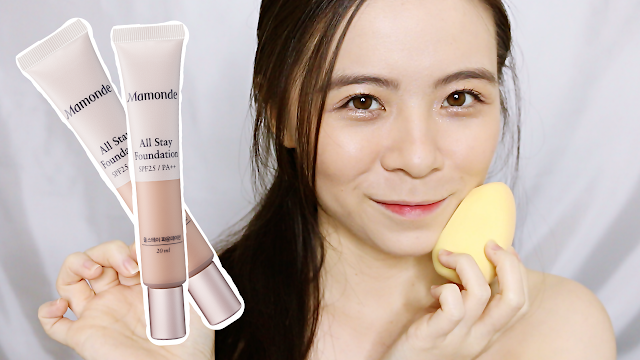 Thanks Mamonde for the foundation and sponge!